Item # 309618 Stash Points: 5,295 (?) This is the number of points you get in The Zumiez Stash for purchasing this item. Stash points are redeemable for exclusive rewards only available to Zumiez Stash members. To redeem your points check out the rewards catalog on thestash.zumiez.com. 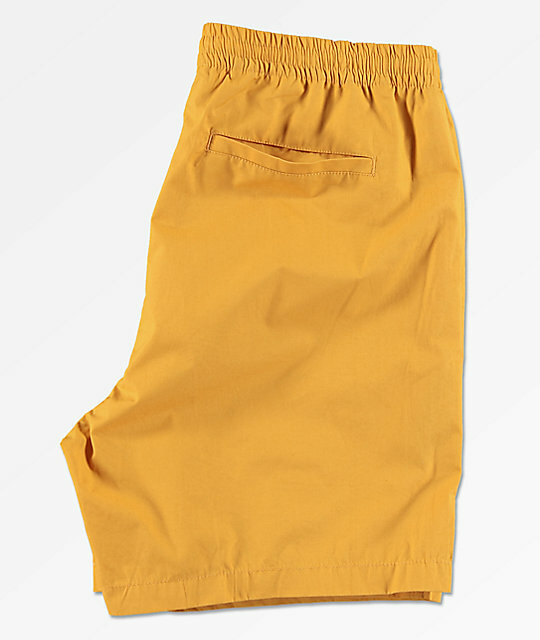 Give your casual, warm-weather looks an accent of classic style with the Obey Easy Yellow Shorts. 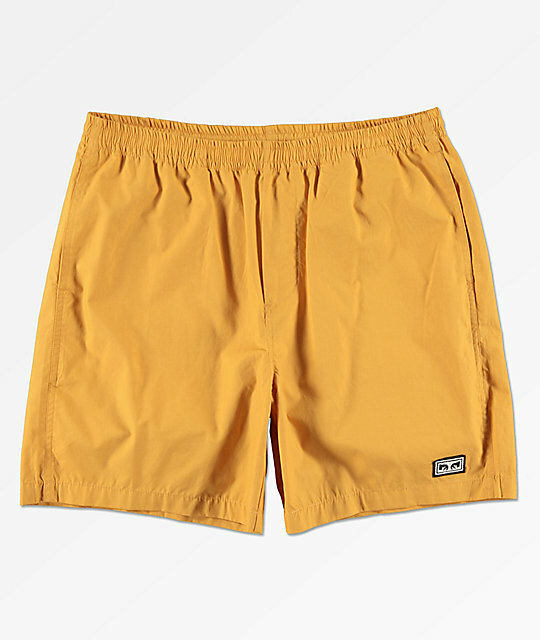 Coming in a vibrant golden-yellow colorway, these cotton shorts are complete with a four pocket configuration for convenient storage. 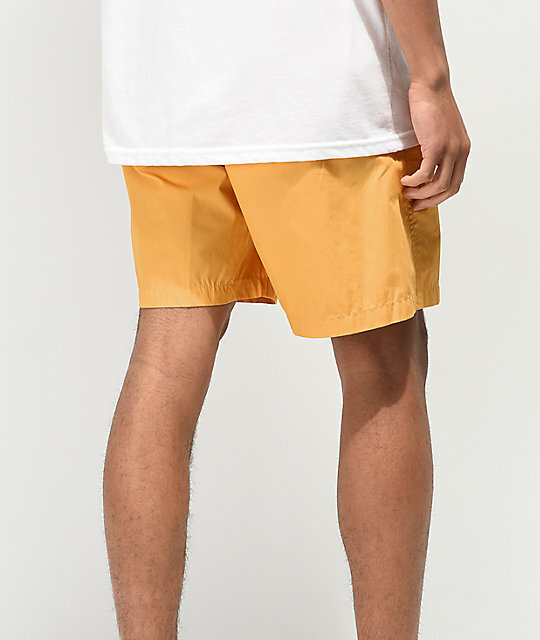 With a thick, elastic waistband, and overall stretchy construction, these ultra-comfortable shorts are sure to be a part of all your sunny day outfits. 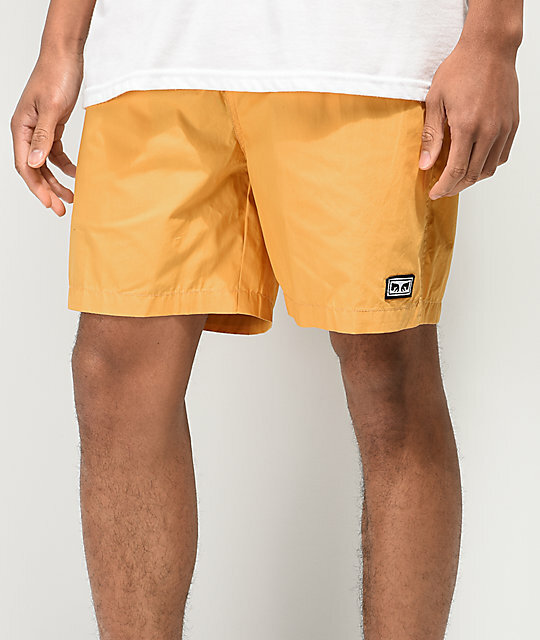 Easy Yellow Shorts from Obey. 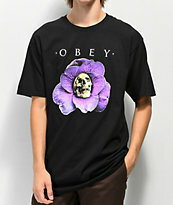 Embroidered Obey logo patch at lower left leg.